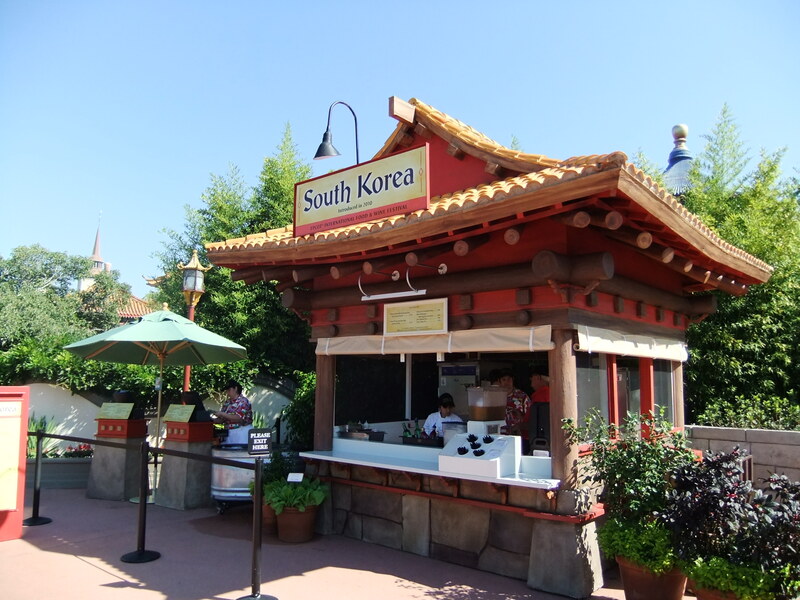 I really love Korean food, and was eager to see how Disney presented it to the masses. At the same time I was a bit concerned that many guests may think that Korean food was a bit too “foreign” and be afraid to try the offerings. This apprehension about the acceptance of the food soon was dispelled as the lines for the Short Ribs and the Pork Lettuce Wraps were almost always long – once the word got out the guests queued up. I was very pleased with the quality and taste of the food items, as well as how well the cuisine was appreciated by the festival-goers – of course I did often wish the lines were shorter because I wanted to taste the food again myself! The two savory items offered were probably not the most “hard-core” Korean foods they could have offered, but I think they provided a reasonable introduction to the flavors that I hope tempted some to try other Korean food after the festival. So now let’s try one of the recipes from the South Korean booth, and one of my favorite items from all the Food & Wine Festival – let’s cook! 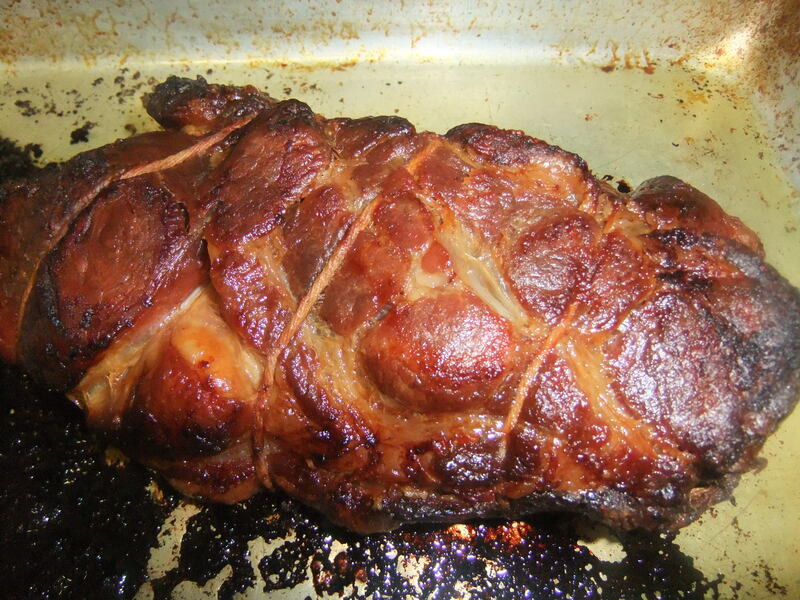 Combine the brown sugar and the salt and rub over the pork. 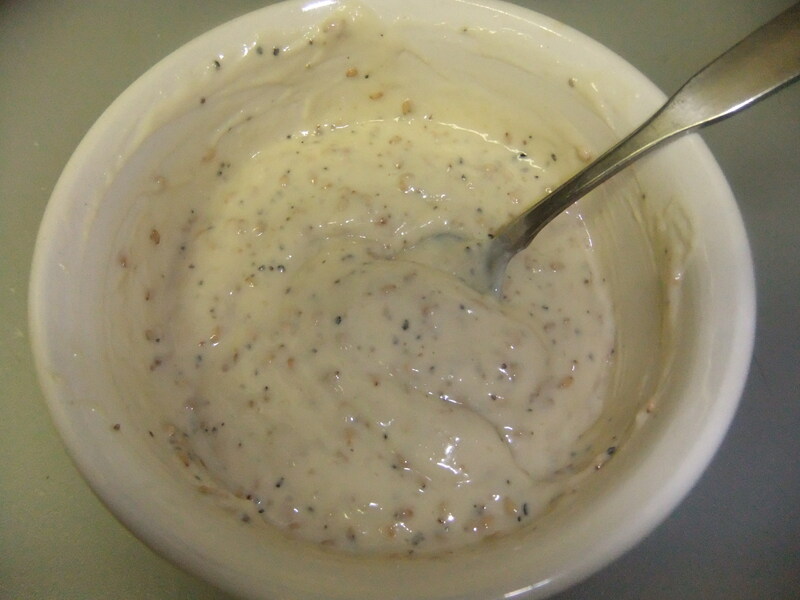 Put into a large zip-lock bag and refrigerate overnight. 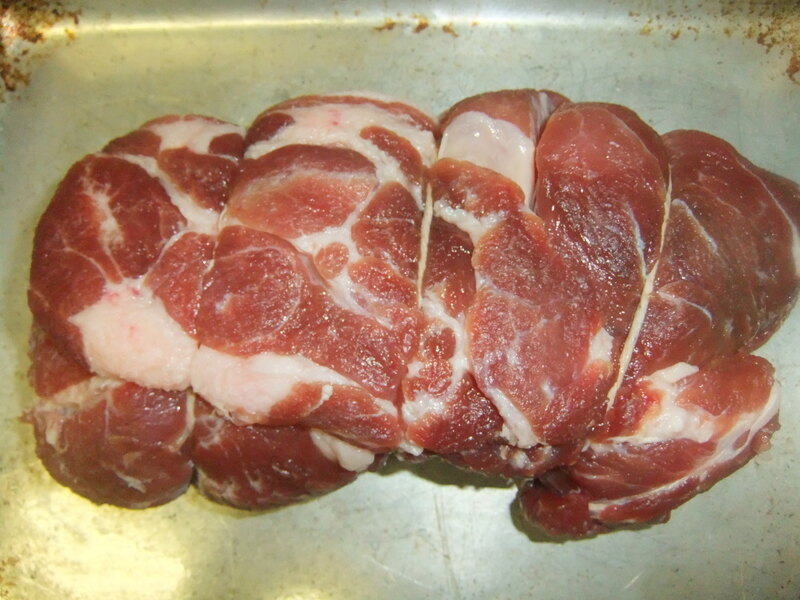 Remove pork from the bag and rinse off the coating. Pat dry with paper towels and put into a roasting pan. Cook for 4 1/2- 5 hours until very tender. Remove from oven and shred into bite-size pieces with two forks. 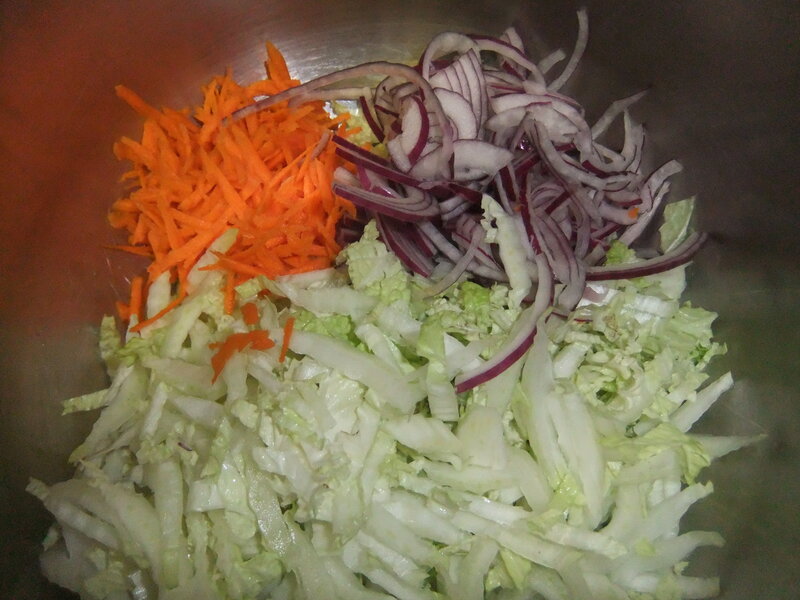 Combine the cabbage, onion and carrots in a large bowl. Whisk together the remaining ingredients then pour over the veggies. Cover and refrigerate for at least 2 hours until wilted. Stir occasionally. 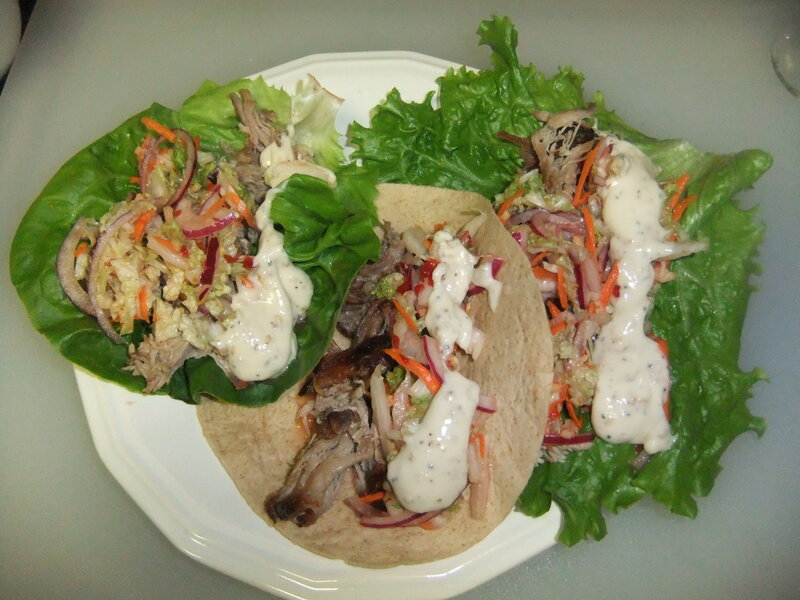 To serve simply take a lettuce leaf, add some of the pork and top with the kimchi slaw and mayo in desired quantities. Fold the lettuce around the fillings and stuff into your mouth… then thank me…. 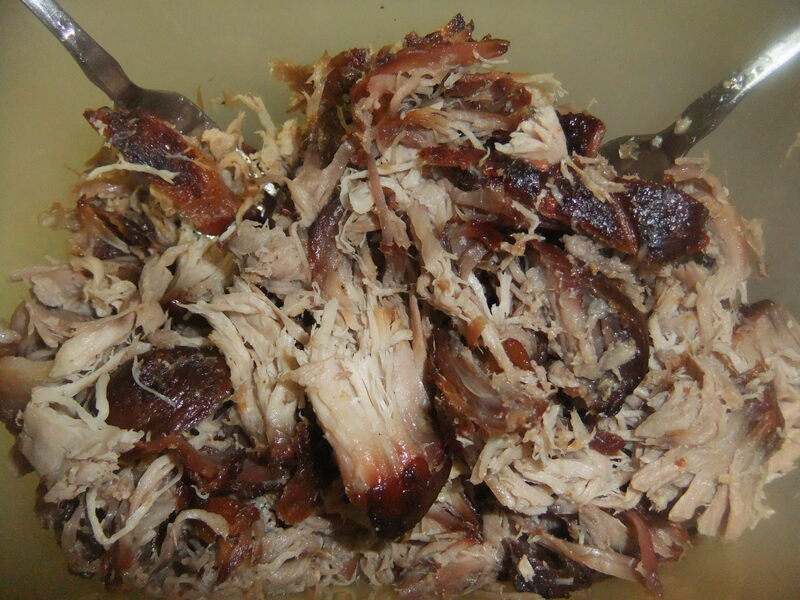 If you have a favorite method for pulled pork on the grill, knock yourself out and use it – I wouldn’t go too heavy on the smoke myself, but a bit of cherry and/or hickory added would be nice. Pulled pork does freeze nicely, so feel free to use a bigger piece and/or multiple butts and stick the extra away for wraps or whatever later. This is pretty good stuff – give it a try and let us know what you think! Basic recipe comes from the 2010 Food & Wine Festival Cook Book. I was so excited about hitting this booth during F&W, the line wasn’t too long, and I grabbed a plate of each. The lettuce wraps were what I was most excited about. Sadly, they turned out to be too spicy for me, and the ribs were crazy tough. My son however, ate both plates and loved it! That’s the funny thing about people’s heat tolerance/likes – to me it could have been much more spicy! Nice thing about the recipe is you can tone down the heat by either using less of the slaw when you assemble the dish, or by making the slaw itself with less spice (or make two halves of the slaw – one mild for yourself, and one with full heat for others…). I’ve made this 3 times now (5 if you count double batches), including for Christmas dinner. My fear is that The Girls[tm] won’t ever let me cook anything else, they love this recipe so much! 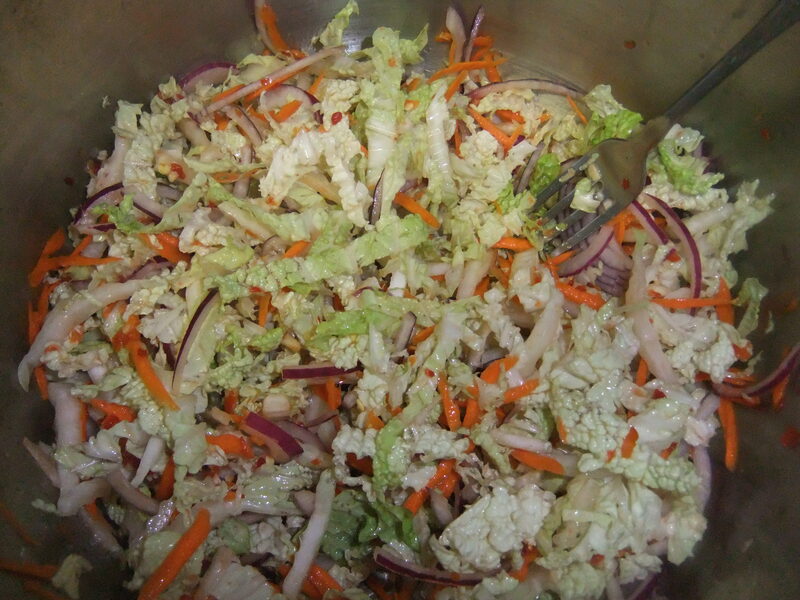 Thank you for a very original “simple” kimchee slaw example, since most recipes omit the use of fish sauce. 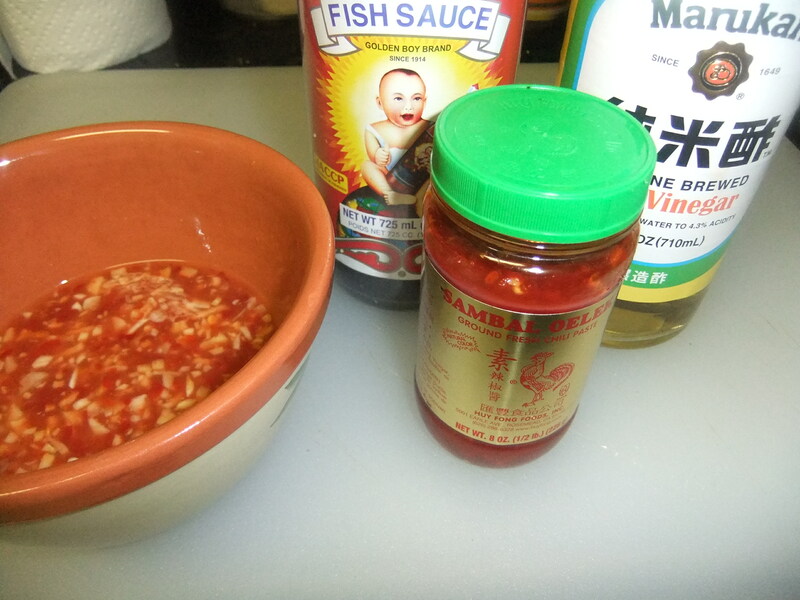 Wouldn’t be kimchee without that or oyster sauce. Mine is overpowering as I ferment for at least a week the old fashioned way in a jar with cucumber and radish rounds for treats. Works just fine when mixed with a little standard coleslaw, too. Just had the pork lettuce wraps with kimchi last night. Yum! I usually can’t tolerate heat but this was just right.